Has your spouse turned more of a roommate than a lover? Are you finding it difficult to interact and share your thoughts and ideas with your partner? Does a conversation between you two often end up in an argument? If you nodded along worriedly, then your marriage might be in deep trouble, and you might be in an urgent need of marriage counseling. If you are wondering what marriage counseling is and how marriage advice can help you save and add spark to your relationship, think no further. 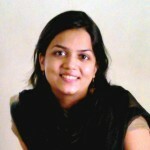 MomJunction helps you know all about marriage counseling and how it can improve your relationship. Marriage counseling is a psychotherapy that helps couples in a marriage to identify the problems in their relationship, resolve their conflicts, and improve their relationship. It is also well-known as couples’ therapy. By opting for marriage and family counseling, you can make appropriate and thoughtful decisions about mending your relationship or parting your ways. You can also opt for counseling to strengthen your relationship, in general. Usually, marriage counseling is a short term therapy involving both the partners. At times, just one partner works with the therapist to improve the relationship. 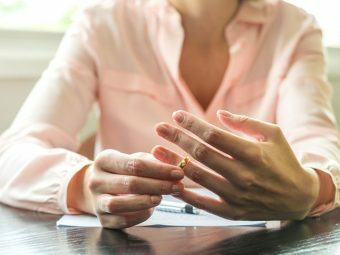 Marriage counseling can help couples at various stages of their relationship, such as premarital, post-marriage, family planning, and when kids are growing. Premarital counseling can help couples achieve a deeper understanding of each other and iron out the differences if any. Couples whose relationship is smooth need not necessarily have to undergo counseling, but it is a good idea for those who are facing a rough phase. Therefore, probe into your life and check for those signs that signal for some help from a professional. The absence of communication is one of the major setbacks that your marriage has. You are reluctant to talk and share your ideas, thoughts, and experiences with your spouse. This is a prominent sign for the need of marriage counseling. The marriage counselor can help you find and follow new, effective ways to improve your interaction with your partner. If arguments, with a negative tone, become a daily affair, then that is sure to spoil your relationship. When you and your spouse have an argument, one of you is bound to feel disregarded, misunderstood, shamed, judged, or less secured. Also, heated arguments sometimes end up in emotional abuse. Marriage counseling can help you minimize your arguments by making you understand your spouse’s perspective and vice versa. In a normal marriage, you have the liberty to talk about finances and health, habits, table manners and just about anything. If you are hesitant to discuss things with your spouse, however trivial or crucial they might be, then it means that there is trouble in your marriage. A marriage counselor helps you develop confidence in you to speak freely with your spouse. If one of you gets angry and stops talking, loving and caring your partner to punish them, then it is leading to a strained relationship. You do not reciprocate to their affection and ignore them. When love and understanding vanish from your relationship, then it is an indication that you need marriage counseling. You see an enemy in your spouse every time they disagree or oppose your view. You try to search for your partner’s vested interest in all the suggestions or help they offer. This is the time you need to see a marriage counselor so that such feelings are nipped in the bud. There needs to be transparency in a healthy marriage but then every individual has the right to privacy. Note that secrecy is different from privacy. So, when you or your spouse begin to keep secrets and avoid sharing your experiences, information, and thoughts with each other, then your marriage might get into trouble and need counseling. For instance, you know your bank balance is substantial, but you do not want to let your spouse know about it even when he or she needs money urgently. Things get difficult when one of you discover the other’s secret. An affair could be the root for several problems in a marriage. When one of you longs or gets into an extra-marital affair, it means that you are replacing your partner with someone else. However, if you are sincere about saving your relationship, then go to a marriage counselor before the situation gets out of your hands. Financial dishonesty is bound to affect your marriage. If you do not find it important to inform your spouse about your expenses, savings, loans, and various other financial matters, it can damage your marriage. If your partner, too, is reluctant to share his side of information, then there is something missing in your marriage, and you may try to find the missing link through counseling. When you no more get intimate with your spouse, it signals that something is wrong. If you and your spouse are simply sharing a room with nothing much happen between the sheets, then your marriage might get into rough waters, and you need counseling to resolve the matter. When you think your partner is not perfect and he or she needs to change in various aspects of life, such as dressing style, lifestyle, eating habits, and many other things, then it signals that you are not happy with your marriage. It is natural for a wife and husband to expect some changes in each other. But that does not mean that your partner can change their very basic traits for you. Dissatisfaction creeps in your family if the expectations are, and you need marriage counseling to restore happiness. All the signs indicate an underlying problem, which could be a dissatisfaction, unhappiness or disappointment. Marriage counseling helps you identify the issue and address it. What more does counseling sessions offer you? Going for a ‘couple therapy’ helps you communicate openly about your marital problems and aids you and your spouse to discuss the differences and solve the problems together. Most of the times, couples cannot recognize the differences that put their marriage in trouble. Marriage counseling helps you evaluate the right and wrong things happening in your relationship and develop a better understanding of the differences. You can work towards closing the differences if they are reconcilable. If you or your spouse is going through psychological problems, addiction to drugs or alcohol, substance abuse, or any other problem, the therapist may work with an expert health care professional to help you face these issues. Counseling can benefit you in more ways than one, provided you approach the right therapist. The therapist must have completed the specific training in couple or marriage counseling. Ask the counselor about his training and credentials. Usually, licensed therapists, who have graduate or postgraduate specialization, provide you with excellent marriage counseling. Make sure the therapist has a good experience in marital therapy. Enquire the therapist how long he has been in practice of marriage counseling. Before finalizing a counselor, talk to him and ask a few questions to assess his skill. While you may not be able to judge his capabilities with a simple talk, it will at least give you some confidence in the person. Ask him what his idea of successful marriage counseling is and how he figures out that the couples are making progress. Try to gauge his confidence levels when talking with him. Last but not the least, you should be comfortable as well as feel respected while talking with your therapist. Ensure that the therapist is not biased and understands your point of view. Also, check how he honors your feedback. Once you finalize your therapist, you might want to know the techniques they would use in counselling, the questions that they would ask you and your partner, the exercises they would suggest and the tips they would give. Read on to know these and more. The Gottman Method focuses on building the relationship through nine components, including trust, commitment, sharing, positive perspective and conflict management. It helps improve affection and respect for each other and thus bring both of you closer and keep the conflict discussions calm (1). Narrative therapy helps you explore your problem, discover its negative parts, and develop a new perspective to improve your relationship. It sees people as the experts of their own life (2). It helps build a narrative (or a story) by connecting the various events happening in your life. You thus learn what has been troubling you and your partner and find new solutions to resolve the problem. Emotionally focused therapy is based on concepts that have been developed based on research. The approach focuses on identification and expansion of primary emotional reactions, develops a tight bond, and helps you and your spouse to carry out new, positive interactions effectively (3). Positive psychology technique helps you improve your relationship by focusing on your character strengths, positive emotions, and effective methods (4). It helps you recognize happy moments, concentrate on positive emotions, liberate your stress, and live every moment. The Latin word Imago means “image,” and refers to the “unconscious image of familiar love” (5). This therapy works on the belief that the discord in your marriage could be the result of some frustrations you have experienced in your childhood, such as feeling abandoned or criticized unreasonably. This marriage counseling technique is a blend of behavioral, spiritual and Western psychological therapies. Imago relationship therapy identifies the root of negative behaviors and emotions and helps you communicate with your spouse to resolve the issues. Communication, verbal or non-verbal, is important in a marriage (6). Counseling helps you communicate in a way that you can put across your point of view without belittling or hurting your spouse. Right communication helps fix most of your problems. It helps you convert your conflicts into constructive interaction. You learn to speak clearly avoiding the chances of misinterpretations and misunderstandings. This helps if the problem between you and your partner is the lack of intimacy. The therapist helps you befriend your spouse and show your affection. Also, the counselor suggests you how you can get closer to your spouse. If one partner in the relationship is unwilling to go for couple therapy, then individual counseling is suggested to work out the marriage. Or else, each partner can attend marriage counseling session separately to help the therapist identify the cause of conflict. It helps you to identify the right kind of therapy your relationship needs. Also, prepare for some questions that the counselor might ask you and your partner. Who is the decision maker between you two? Which repeated habit of your spouse irritates you? What things do you never want your spouse to do? What is the goal of your marriage? How do you think your relation is proceeding? What type of family were you brought up? What was your relationship like with your parents, siblings, and friends? Did you nurture any spiritual beliefs? 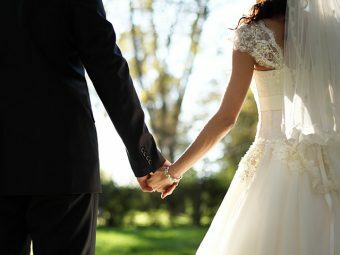 What was your opinion on marriage before getting married? Were you in a relationship or marriage before you got married? Did you experience any bad relationship before marriage? Are you unable to trust your spouse because of their past relationship? Do you both often get into heated arguments? Do you avoid discussing any difficult matters? How do you communicate with each other? How do you manage financial issues? Does anyone of you dominate the other? How different is your parenting style from that of your spouse? Once the therapist gets clarity on your answers and listens to your problem, he would give you tips on how you can sail through the situation. Here are some simple tips, which you may follow even if your relationship is not strained. Accepting and tolerating persistent differences over household chores, finances, holidays, in-laws, and other matters, gives you peace of mind. You will learn to ignore your partner’s minor mistakes and avoid arguments over them. You may feel stressed out due to several reasons, such as work, domestic chores, kids, their education, past life, and more. Make efforts to identify the root of your frustrations and overcome them instead of routing it to your spouse. Catch your spouse doing a good job and compliment them. Appreciation will surely have a positive impact on your relationship. Use your wit and surprise your spouse with your thoughtfulness. Making your partner happy will help add charm to your marriage. Let your beloved one discover your love for them. Your life is busy with work and kids. Still, take time out to spend some quality time with your partner to foster special feelings and improve your relationship. When you support your partner in various matters, be it work, decision-making, depressing times, and in other situations, it helps strengthen your relationship significantly. It fosters togetherness and improves your bonding. You need to listen to your partner with patience when they talk to you. Be patient and listen to your spouse even when you are tired. Assure your partner you have heard them. Listening helps strengthen your relationship. Often, anger spoils your happy relationship with your spouse. So, keep your anger in control. Make your point clear but do not use words that will hurt them and leave you repenting later. Whenever you commit a mistake, admit it and apologize to your spouse. Make sure you avoid repeating the mistake. Along with these tips, the counselor might suggest you some exercises to follow. These exercises correlate to the tips that the professional might advise you. In a way, the above tips and the below exercises are in sync with each other. Most problems among couples arise due to lack of communication. Every day for at least 30 minutes, sit with your partner and listen attentively to them. Ask them to do the same. Avoid the chances of misunderstanding. Also, talk to them with respect. Take care if miscommunication happens. Repeat your partner’s statements and explain your point of view. Appreciating your partner’s qualities is critical to improving your relationship. Sit face-to-face with your spouse and both of you talk about the good qualities of the other. The other will mirror this by making a statement. Set a timer and continue this exercise for ten minutes in turns. During this exercise, you need to share your desires and expectations with your spouse and vice versa. Each of you should fold a paper in four, unfold the paper, label each of the four squares with different categories, namely emotional, physical, social, and material, and fill out each categorized square with your needs. Then, exchange your papers and let your spouse know about your needs. Often, you want to make remarks and suggestions regarding your spouse’s behavior. However, you end up attacking them and not their behavior. In this exercise, you need to attack your partner’s behavior, and not your spouse as a person, by avoiding ‘you’ statements. Specify the behavior that bothers you. Plan a trip with your spouse and spend quality time in a new and pleasant environment. Holidaying helps alleviate the stress in your relationship, have memories to cherish, and improve the relationship. The therapies and exercises are all elaborate and you need to work hard to make them work. And then you would want to know if this thing really works. Marriage counseling works the best when you go for it in the early stages of troubled marriage. Also, for the counseling to work, you need to be sincere. Marriage counseling won’t work when there are some serious issues in your relationship, such as verbal or physical abuse, chronic illnesses, severe problems, failure to attend and follow counseling sessions and tips, and disinterest in the relationship due to reasons such as an extra marital affair. The spouse who had been unfaithful needs to apologize every day to their partner. Talk to their spouse about the wrong-doing and promise that such incidents would not be repeated. The counselor explains why you need to dump your past i.e. infidelity. The couple needs to erase the memories of their affair, and the best place to erase the past is the location where they got married. This technique helps the couple to get back to their good times when they got married and loved each other. The unfaithful partner needs to reassure the hurt partner that they need them, and how important they are for them. The counseling session helps you figure out what your spouse needs to inspire to be with you. If the counseling is successful, then the interaction between the couple will change from infidelity complaints to daily discussions of routine and marital problems, such as finances, the quality time they spend, regular life, and so on. The deserted spouse tends to regain some trust, and the betrayer learns to be more expressive and attentive. After reading through this, if you think you need to have marriage or couple counseling, then you may opt for either free or paid services. This marriage counseling organization in the US offers free relationship therapy to help couples or individuals in a troubled marriage to resolve their conflicts. Certified relationship educators provide quality guidance. The Global Initiative called ‘The Marriage Restoration Project’ aims to help couples to stay together happily. It offers free marriage counseling material, and online guidance to couples in a troubled marriage to develop healthy relations that can save their marriage. NAME is a well-known non-profit marriage counseling organization having more than 200 marriage counseling centers in 10 nations. It offers free marriage counseling and pre-marital counseling to help the couples. Couple counseling is completely professional and is done in a systematic manner. However, it can be successful only if are sincere about your intentions. The counselor will help you, but ultimately it is you and your spouse who need to work hard to sustain the relationship. 1. How many sessions do you need? The number of counseling sessions varies for each couple. However, most therapists suggest three months of weekly counseling, to begin with. The sessions may be extended beyond three months depending on the particular situation of the couple. So, you need at least 12 sessions of counseling. 2. Is marriage counseling worth it? Yes. Even though marital therapy cannot guarantee a solution, it does improve the relationship. The usual success rate is 50% to 60%. But like we said earlier, it also depends on your dedication to the relationship. 3. What is the cost of marriage counseling? Most professional therapists charge by hour or per session. On an hourly basis, the charges of the therapist providing the ‘couple therapy’ are between $75 and $150. However, most therapists suggest marriage counseling for at least three months, around 12 weeks. The counselor conducts one session per week for three months. So, the average cost of marriage counseling would be around $1,500 for 12 weeks. 4. Does insurance cover marriage counseling? No, insurance companies do not cover the expenses of your marriage counseling. The only exception to this rule is when either of the spouses is suffering from a psychological disorder, such as anxiety disorder or bipolar disorder. For this purpose, the insurance companies will carry out a thorough investigation and will sanction the claim only when everything is clear. 5. What is military marriage counseling? Just like civilians, military couples too may have their marriage going through rough weather. Deployments, long training separations, and frequent transfers can affect the marriage of the married military service members. 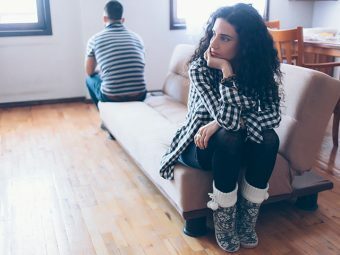 The separation can make you and your spouse feel sad, angry, frustrated, and irritated so much so that you may often fight, avoid discussions, and finally withdraw. So, you need military marriage counseling to minimize the pressure and improve your relationship. Non-medical counseling is a short-term therapy that seeks problem-solving approach. It comprises stress-related trauma treatment or addiction counseling, without any medications. It focuses on enhancing your relationship at work and home, adjustment post deployment, loss and grief issues, anger and stress management, and parenting. Medical counseling addresses post-traumatic stress disorder, alcohol and drug abuse, suicidal tendencies, kid or spousal abuse, traumatic brain injury, and other psychological problems that affect the marriage of a military couple. Did you ever opt for marriage counseling to save your marriage? How did you find it beneficial? Share your experience with us by leaving a comment below.